Welcome to LA Finance. If you are looking for a reliable bookkeeper, London is home to our team of professionals that can look after your accounts and give you the time to focus on making your business a success. We provide a complete range of bespoke bookkeeping services tailored to suit the needs of your company. Because every business is different, we take the time to understand the individual needs of your company and directors. You can benefit from the development of an efficient bookkeeping and management reporting system which demonstrates the financial position of your company on a regular basis; whether monthly or quarterly. 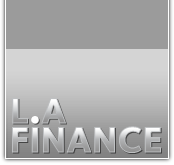 With LA Finance, you can rest assured that we have the skills and experience to help you focus on the continuing success of your company. Looking for a Bookkeeper in London? You can find peace of mind with a professional bookkeeper from our London office. Once a suitable bookkeeping and management accounts system is implemented you will receive up to date financial information on a regular basis; aiding decision making and helping you to focus on the future growth of your company. You can put the financial function of your business in the hands of an experienced professional who will produce accurate and timely financial information; ensuring that all statutory deadlines for financial returns are met. To find out more, contact our London team to discuss a bookkeeping service tailored to meet your company requirements. Our London bookkeepers will provide you with a high standard of consistent accurate information. We'll take care of all your accounts so that you are free to focus on making your business a success. For a free quote or for more information please contact us here. Alternatively speak with an account manager on 020 8582 6303, and discuss your requirements today. For a free quote or for more information please contact an account manager by filling in the form below, alternatively discuss your requirements directly with an account manager today on 020 8582 6303.